We at BMAF would say our favourite book by the incredibly talented Dr.Seuss has to be How the Grinch Stole Christmas! Luckily for us, when adapted it has done rather well, we shall not mention the horror that was the live-action Cat in the Hat movie with Mike Myers! The Ron Howard directed version of The Grinch, with Jim Carrey as the grumpy old green creature, is probably our favourite Christmas movie, but we also really enjoy the Chuck Jones animated classic version with Boris Karloff as narrator and voice to the Grinch. So with this in mind, we decided to give the new animated version a go from the creators of Despicable Me with singer Pharrell Williams as the new narrator and Benedict Cumberbatch giving the Grinch his voice. In this case, the backstory is Cindy Lou wants her mum to be happy and to find someone special. Although we do find The Grinch was raised in an orphanage, so never really celebrated or felt loved at Christmas too and like the 2000 movie, this does make you feel for the unwanted green grump! Boris Karloff does a superb job as Narrator and Voice to the Grinch and we get introduced to the classic song ‘You’re a Mean One Mr. Grinch’ which is just reduced to a soundtrack song in the 2018 version. Quite frankly Jim Carrey is incredible as the Grinch! 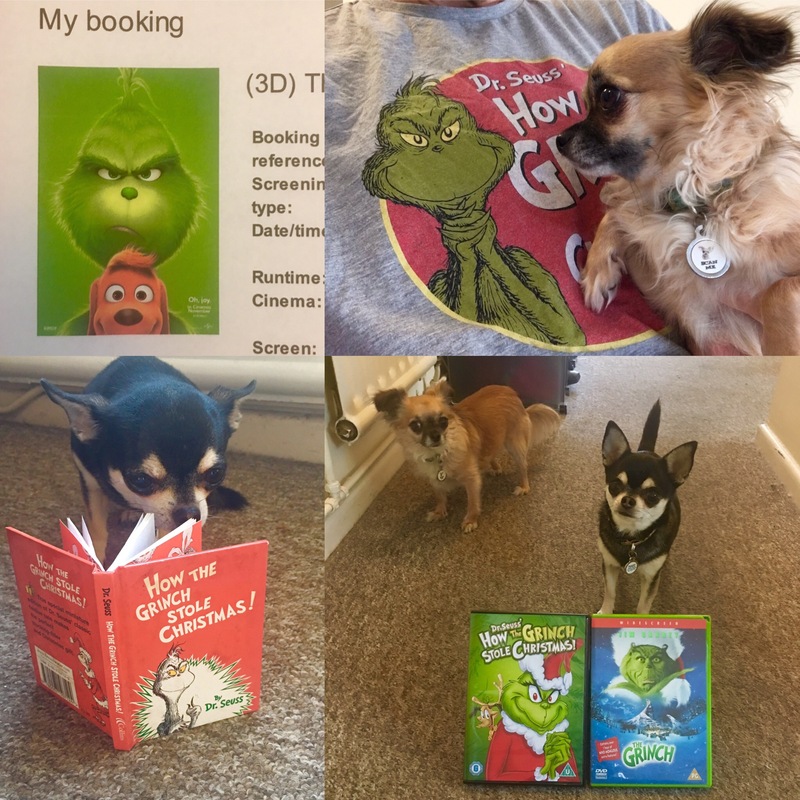 The make up work and special effects on this film are great, we love Max the dog in this one and in the backstory we do have genuine sympathy for The Grinch, as we learn that at school he was bullied for being different and felt he didn’t fit in. His revenge on the Mayor are great moments of comedy and Cindy Lou is great too! Our only negative would be, we really don’t’ like the break for the Where are you Christmas?’ Song, whilst short and sweet, we feel slows the film down, but when the same film gives you Carrey singing ‘You’re a Mean One, Mr. Grinch’ we can’t complain too much.